The Braves are doing their part to lock up their core and create a window to compete. They already signed Freddie Freeman to the long-term extension, making him the face of the franchise. They extended Jason Heyward two years – though this doesn’t really count as a long-term deal because Heyward was under team control for those years anyways with arbitration. 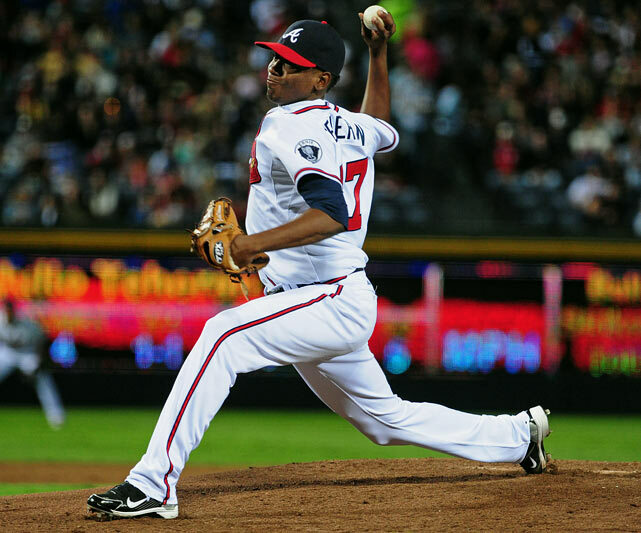 Today, they agreed to a six-year pact with pitcher Julio Teheran. Teheran is reportedly guaranteed $32.4 million in the deal. I’m personally very impressed with Teheran and think he’s got a future ahead of him with All-Star appearances, and competing for Cy Young Awards. As a 22-year old he posted a flashy 3.20 ERA to go along with sparkling control that allowed him a 170 to 45 K to BB ratio. And the best part of this deal? We’re probably going to get six more years of Bryce Harper-Julio Teheran duels. That figures to be must see television another 75 or so times it occurs. ← Previous Story Were the Braves drawing a line in the sand with Heyward & Freeman extensions?